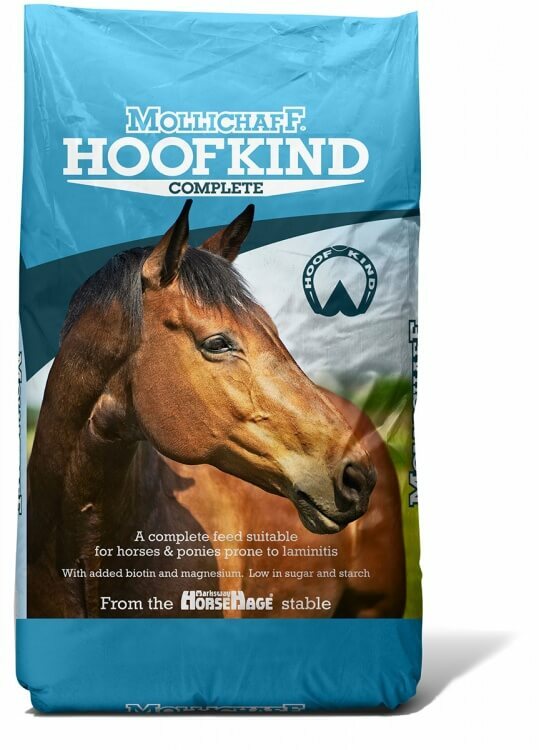 Mollichaff HoofKind Complete is a highly palatable blend containing a balanced blend of oat straw, alfalfa, fibre pellets, soya oil, vitamins, minerals, trace elements, antioxidants and biotin. It is low in starch and sugar, high in fibre and does not contain any cereals. HoofKind Complete provides a low level but high quality protein and restricted calories and so provides limited, controlled energy from high quality, digestible fibre and oil-based ingredients, making it an excellent feed for ‘fizzy’ horses and good-doers, as well as those prone to laminitis. HoofKind complete contains a broad-spectrum vitamin and mineral supplement, and when fed at the recommended levels to horses in rest or in light work, it needs no further supplementation other than good quality forage such as High Fibre or Timothy HorseHage. HoofKind Complete contains additional levels of biotin. Independent scientific studies have found that supplemeting an average horse’s diet with 15mg of biotin per day can greatly increase both the growth rate and hardness of the hoof. Mollichaff HoofKind Complete has been specially formulated to ensure that these levels are met. Mollichaff Hoofkind is available in 15kg bags. 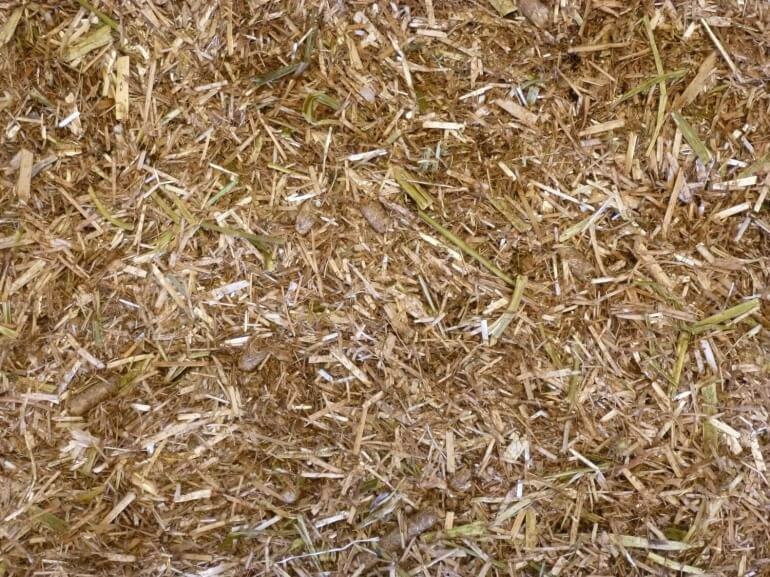 Forget your shopping list of nuts, alfalfa, chaff, oil, minerals and vitamins, and specialist hoof supplements. A simple diet of Mollichaff HoofKind Complete – a complete feed in a bag containing all these ingredients plus natural antioxidants, fed with High Fiibre HorseHage or Timothy HorseHage, supplies all the nutrient and fibre requirements of horses and ponies in moderate to light work (hacking or schooling 4-5 times a week), resting or those prone to laminitis. For an average 500kg horse, feeding the required 2.5kg per day will provide the required 15mg of biotin. HoofKind Complete also contains added magnesium. Magnesium is often deficient in UK soils and is an important factor in the nutritional support of many metabolic processes in the horse. Additional natural plant-based antioxidants are also included to help mop up free radicals. These particular antioxidants have been selected specially for the nutritional maintenance of healthy immune, respiratory and circulatory systems and the all-important hooves and laminae. The average weight of a level Stubbs scoop (volume 2.5 litres, bowl diameter 23cm, depth 10cm) of Mollichaff HoofKind Complete is 0.45kg. Always weigh feedstuffs, particularly when feeding overweight, or those prone to laminitis.